Citro Services was born in 2008 from the partnership of several italian Citroën DS fans, who met on the internet and dreamed to establish an on-line spare parts dealer for their beloved cars. In 2013 we founded the new Citro Services, with new headquarters and wider services. We began to produce those parts so difficult to find elsewhere and, at the same time, to select the best suppliers in this huge market. Still, our most important guiding lights are our customers: we value your experiences and feedback, and our main goal is not just the correct price, but the best quality as well. 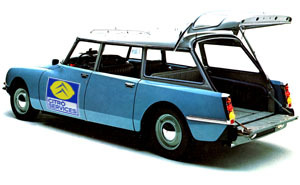 While our main focus remains the legendary DS, we now take care of all your classic Citroëns. Today, thanks to our website and an organised and complete warehouse, we take pride in being one of the main European part dealers for the "Double Chevron" cars of the past; we take part in the main exhibitions and fairs of our field and we serve customers from across the continent and beyond.